Jerrold F. Heller & Associates D.D.S. "Great work. Works fast. Totally painless." "If you need a dentist Dr. Heller is the dentist for you." "Dr. Heller and his staff are the best. They are compassionate and attentive to my needs"
"The staff is very nice, gentle and professional." "I have always had good experiences with Dr. Heller and his staff." "Dr. Heller is the best dentist in NYC! Highly recommend!" For more than 45 years, highly respected dentist Jerrold F. Heller, DDS, has provided superior and attentive patient care. At his practice on the Lower East Side of New York City, Jerrold F. Heller & Associates D.D.S., Dr. Heller and his team of specialists offer veneers, extractions, pediatric dentistry, cosmetic dentistry, root canals, dental implants, periodontal care, and all other dentistry needs under one roof. Dr. Heller earned his Doctor of Dental Surgery degree at New York University, and he’s been a proud New York resident for decades. He understands the busy and active lifestyles of today’s New Yorker, and one of his main goals for Jerrold F. Heller & Associates D.D.S. is giving patients the most convenient and compassionate care for all types of dental issues and concerns. 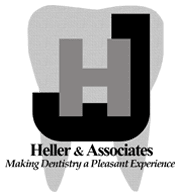 There’s no need for outside referrals because Dr. Heller works alongside an experienced endodontist and periodontist for dental implants and root canals. Having worked with New York’s finest specialists, Dr. Heller is also an innovator in the fields of periodontics and prosthetic dentistry. Dr. Heller welcomes new patients to the practice. Use the online scheduler or call the office of Jerrold F. Heller & Associates D.D.S. today for an appointment. "Dr. Heller has an easy-going way that keeps you calm and he always keeps you in the loop so you know what to expect next. Highly recommended." "Dr. Jerry put a crown in my mouth Feb. 1984. When it comes to painless dental, this man is the "Lewis" of Lewis & Clark. A true Pioneer, at his craft!" "Dr . Heller was amazing in extracting a tooth today. It's the first time in my life I took a painless shot. No pain, just results. The best dentist ever." "The office is clean and the office manager is sweet and friendly. Heller works super quickly and with a great attitude." "Dr. Heller and his staff are all very friendly, professional and accommodating. I am always greeted by a friendly staff. I wish I found them sooner." "The staff is kind and caring, and there is a great deal of effort put into making sure that the patient experiences as little pain as possible."